Mind-blowing statistics and crazy connections—from the number-crunching genius behind a popular blog. 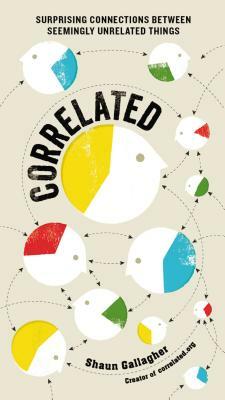 Based on findings on Correlated.org, this surprising and very funny book presents bizarre-but-true correlations between seemingly unrelated things. You’ll never look at poll results or scientific sound bites the same way again! Shaun Gallagher is a writer and a former magazine and newspaper editor who runs the popular website Correlated.org that explores the surprising world of statistics. He is also the author of Experimenting with Babies. He lives with his wife and two sons in Wilmington, Delaware. “We predict this site will launch a thousand graduate theses"